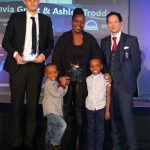 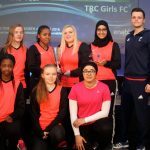 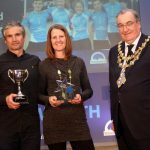 Wandsworth Council’s Active Wandsworth Awards look back on the 2016 sporting year and celebrate sporting individuals, clubs, volunteers and coaches for all their hard work and exceptional achiev ements in 2016. 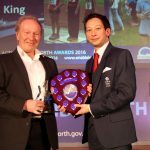 The 2016 awards were particularly special as they marked 20 years of Active Wandsworth. 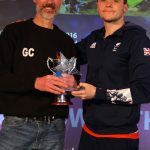 The annual event was attended by sporting royalty; Gold medal winning Olympian, Phelan Hill and Paralympic bronze medallist, Aaron McKibbin who presented the trophies across 14 categories. 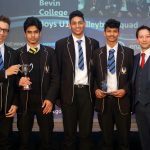 The evening was hosted by Sky Sports News presenter and avid Sheffield Wednesday fan, David Garrido. 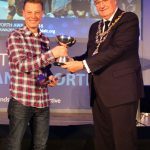 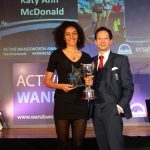 Aaron McKibbin, a former winner of the Sports Person of the Year Award in 2012, was on hand to present this year’s trophy to athlete Katy-Ann McDonald who is the number one ranked under 16 athlete in the world over 800m and represented Great Britain and England during the year. 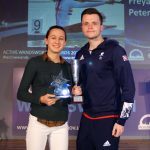 Sprint and Marathon Kayaker, Freya Peters, collected the Junior Sports Person of the Year Award following her success with Great Britain at the European and World Championships. 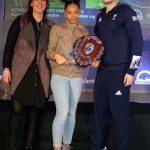 Not only was the fabulous talent recognised but also the people and organisations that encourage people into activity. 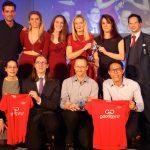 GoodGym won the Physical Activity Project of the Year Award following their introduction of the combined running programme that takes runners out into the community to volunteer at local facilities and projects. 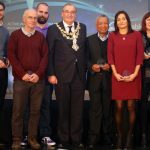 Volunteers were also recognised across a number of sports and organisations. 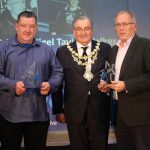 The work of Dave Crilly from the Training Resource Centre and Nigel Taylor-Walker from Battersea Ironsides RFC both received a special recognition for their Outstanding Contribution to Sport and Physical Activity over a number of years of devotion. 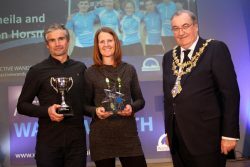 The Active Wandsworth Awards are managed and delivered by Enable Leisure and Culture on behalf of Wandsworth Council. 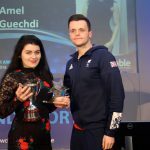 To find out how to be part of the 2017 awards visit www.enablelc.org/awa2016.